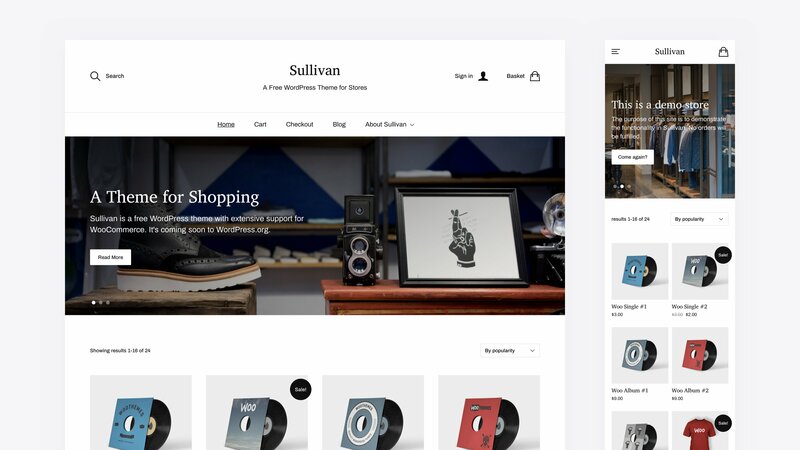 Sullivan, the first of my themes to feature extensive WooCommerce support, is now available as a free download on WordPress.org. You can read more about Sullivan here, and you can check out the demo installation here. If you want to download it and give it a try, you can find the WordPress.org theme page for it here. You can also install it through the Apperance > Themes > Add New page in your WordPress administration panel. Special thanks to Bdur604 and acosmin for doing the theme review of Sullivan.